Are you interested in Queen Creek, Arizona? Queen Creek is one of the best-kept secrets in Arizona, located at the Eastern edge of Maricopa county. Boasting an exceptional climate if you like sunshine), natural recreational riches and a relaxed, rural lifestyle combine to fulfill the dreams and visions of those who relocate to one of America’s best small towns. As opposed to cluttering the page with links about Queen Creek, we have also included a link to the Chamber of Commerce of the City of Queen Creek, Arizona for those who are moving from outside the community and would like more information about this wonderful and diverse community. Check our Queen Creek MLS Real Estate Listings today – we also have home listings for Gilbert, Chandler, Sun Lakes Mesa and more ! The American Heritage Festival – Since 2003 the largest annual educational living history event in AZ and the Southwestern US. Schnepf Farms – a family operated farm that holds frequent festivals. Queen Creek Olive Mill – a family owned company that grows and presses olives for the production of high quality extra virgin. It was featured on the Food Network. 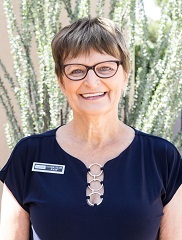 Network Together – started in Queen Creek as a Business and Personal development group and has expanded to over 12 chapters in the Phoenix Metropolitan area.